Are you looking for my opinions about things? Well, you found them. 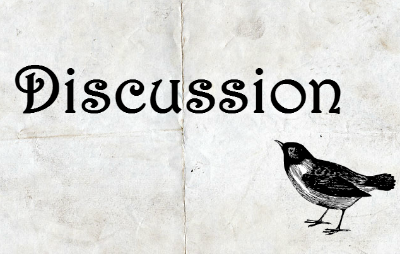 How Much Discussion Actually Happens in a Discussion Post? What If You Can't Comment Back? When Should You Keep Your Opinion To Yourself? Where Are All The Asexual YA Characters? Did I Actually Keep My 2016 Resolutions? Did I Actually Keep My 2017 Resolutions? Did I Actually Keep My 2018 Resolutions? I Have New Year’s Resolutions! Do You? Do You Read 100+ Books a Year? Tell Me Your Secrets! Has Reading Helped Shape Your Worldview? How Accurate Are Amazon Recommendations? Lesser-Known Dystopias, or What the Heck is a Dystopia, Anyway? Can We Please Not Make Assumptions? What Makes You Read a Book Review? I'd Love To Read About . . .